Grahams Island State Park is located on the ever-changing shores of Devils Lake. This hidden treasure is heavily wooded and surrounded by miles of lakeshore. Campers will enjoy the large shaded campsites, in one of the only nonseasonal campgrounds in the area. The unique landscape of the lake makes it a hot spot for world-class fishing. 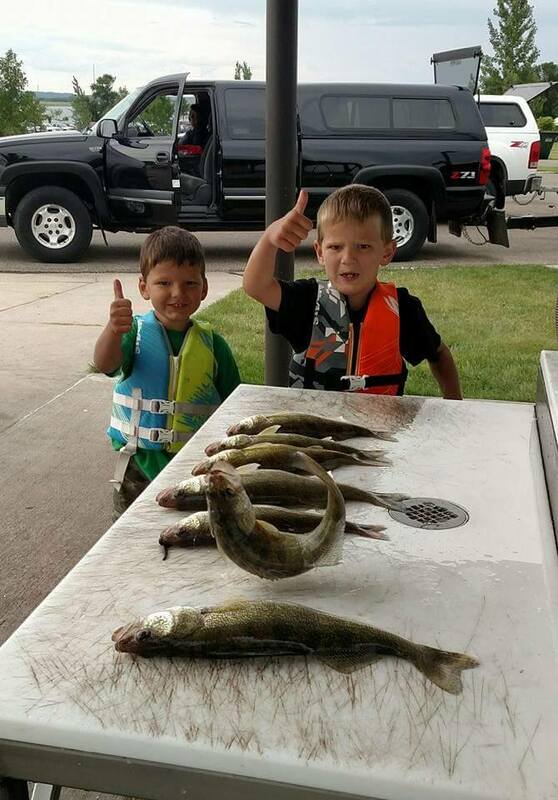 The park hosts numerous national and regional fishing tournaments during the year. Grahams Island caters to anglers with an array of resources including a bait shop, a four-lane boat ramp, and a fish cleaning station. Visitors can enjoy a day on the lake, take a stroll on the hiking trails, swimming at the beach or hang out at the visitors center. In the winter, visitors can explore over 3 miles of groomed cross-country ski trails, explore the park on snowshoes and have excellent access to the lake for ice fishing activities. Grahams Island State Park is home to four seasonal camping cabins. The Bass, Perch, Pike, and Walleye cabins are all situated next to one another on top of a hill, giving visitors beautiful views of the lake. Looking for an economical getaway during the summer, our camping cabins are a great choice. Open seasonally, these cabins are air-conditioned and come with a small refrigerator. 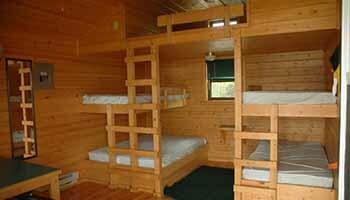 The cabins sleep five with one full sized bed and 3 single beds, set up bunkbed style. - Cabins check-in is after 4 pm, check-out is at noon. Grahams Island State Park now has a dog park centrally located between the campgrounds. This area is a fenced, leash free green space for dogs to run and get exercise in. Trails meander through ash/oak woodlands which provide an opportunity to bird watch, photograph waterfowl, and wildlife and view 130 different plant species that are native to Grahams Island. This trails also provide a view of the Devils Lake along the south shore of Grahams Island. Trails meander through ash/oak woodlands which provide an opportunity to bird watch, photograph waterfowl, and wildlife and view 130 different plant species that are native to Grahams Island. These trails are maintained for winter activity. The snow conditions determine the availability of trails. Trails are groomed weekly in the winter and are ready to ski. The park is open to snowshoeing; however, it is not allowed on the groomed cross-country ski trails. There are many places to explore, but we encourage people to check out the packed path we have established throughout the primitive campground during the winter months.